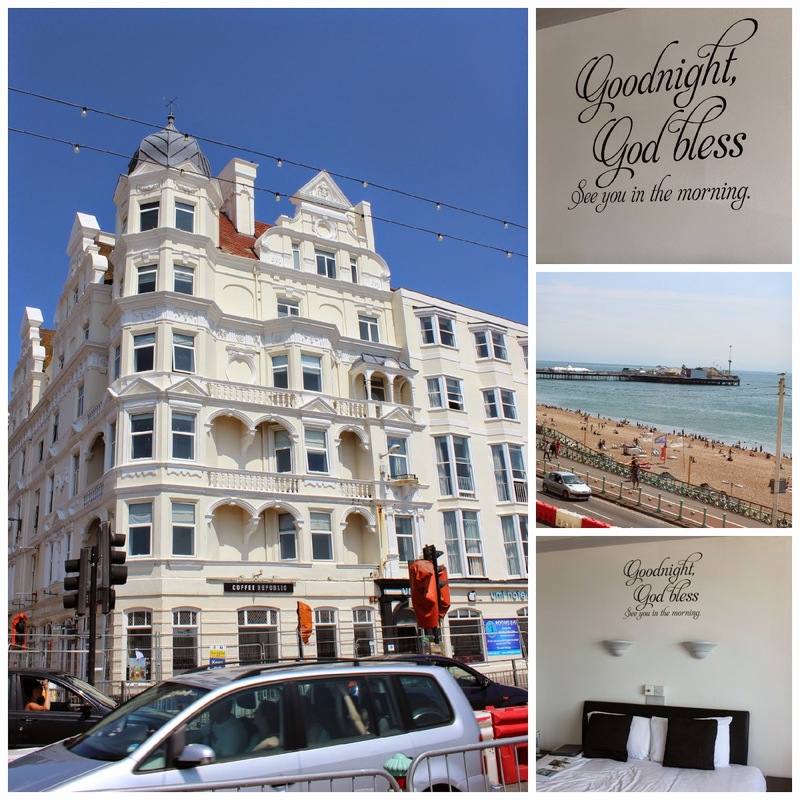 Beautiful You: Sunny Adventures | Brighton With My Sister! 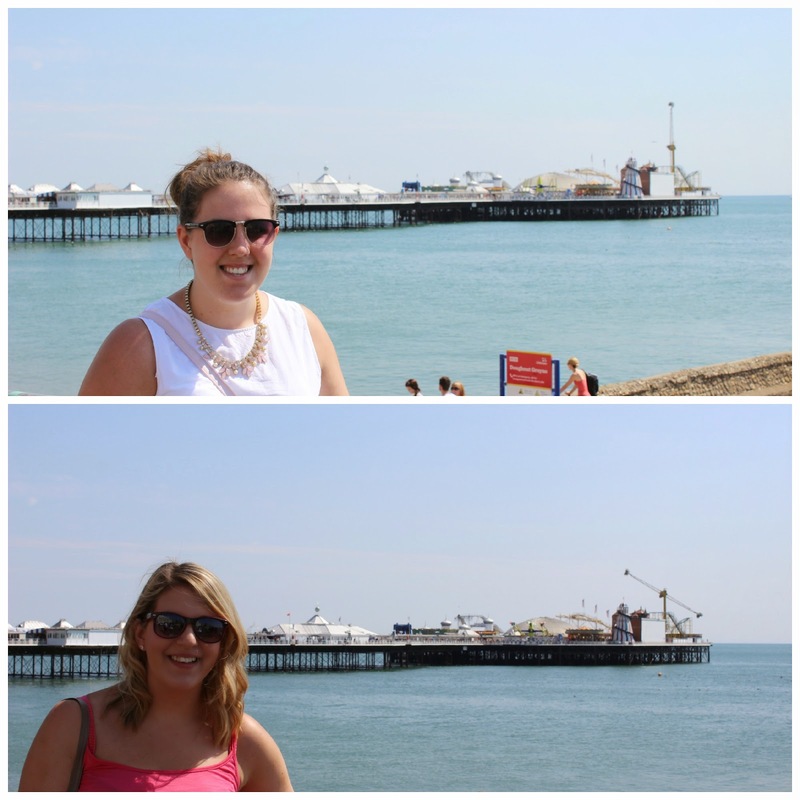 Sunny Adventures | Brighton With My Sister! As some of you will know my sister and I went to Brighton for a couple of days last week as we have never been before so we thought why not! I took so many photos and I thought I would share our couple of days with you guys. This blog post is going up along side a video on my channel in which me and my sister share with you what we both bought while we were there! We found a voucher code for the Umi Hotel which was on the sea front and we decided to spend the night, however on the dates that we wanted to go they only had sea view rooms but we upgraded and I'm so glad we did! The view and the rooms itself was really nice and at the price we paid you really couldn't complain and I would highly recommend it especially for the location! We then decided to take a walk down to the pier and see what there was to do. Ever since getting my new camera for my birthday I have taken it every where and I got a bit snap happy on the pier, these are only a select few! When we were walking down we saw Moo Moo Milkshake which claimed to be the 'best milkshake in Brighton' and I have to say it was pretty damn good! Then we wandered down to the rides at the end and when we found out that there was a water ride we couldn't resit going on it, even if it was £4 each! !After we went to the pier we decided to head back to the hotel to chill and get ready for dinner, as I really hurt my foot the day before we went to Brighton I was finding it really hard to walk for long periods of time. I didn't take any pictures of dinner because I enjoyed it too much but we went to Cafe Rouge and I had the nicest Caesar Salad ever!! The next day we were determined to find all the cute shops so Bry got directions to Choccywoccydoodahs and on the way there we found some amazing shops, I won't say what I got but if you want to find out I will leave a link to out video at the end so you can go and watch it. We then actually went into Choocywoccy and had a sharing platter which was amazing and very very sweet, we couldn't finished it all so we did bring some of it home. Also the cakes/chocolate moulds in there were amazing and I really wish I could have bought everything in there, it was to die for. We then also wanted to go to the Angel Food Bakery and this was heaven, we decided to get four cupcakes so that our parents could have one and they were amazing (even though I didn't actually eat mine)!! After we just wandered around the lanes and went into lots of shops and found some really quirky thing and I really wanted those two cushions but they were £35 each and I couldn't afford that! 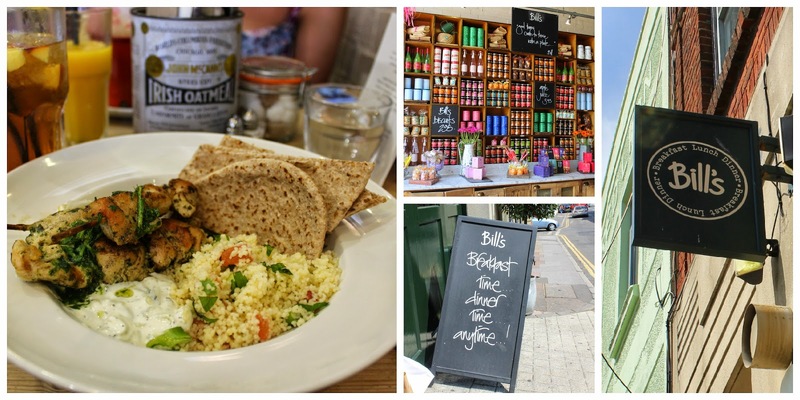 Then we decided to get lunch and of course there was no other choice but to go to Bills, I was dying to find it but when we did I was over the moon! I decided to get chicken skewers! I was so pleased with my choice as it tasted amazing and I was chuffed with myself for eating something healthy for once, although I did buy myself a stick of rock to eat on the way home. I would 100% recommend eating here as it was really reasonably priced for the good quality food that you get. After this we just made our way to the beach and chilled out until we decided to come home, I really did enjoy my time there and next time we will definitely go for longer! 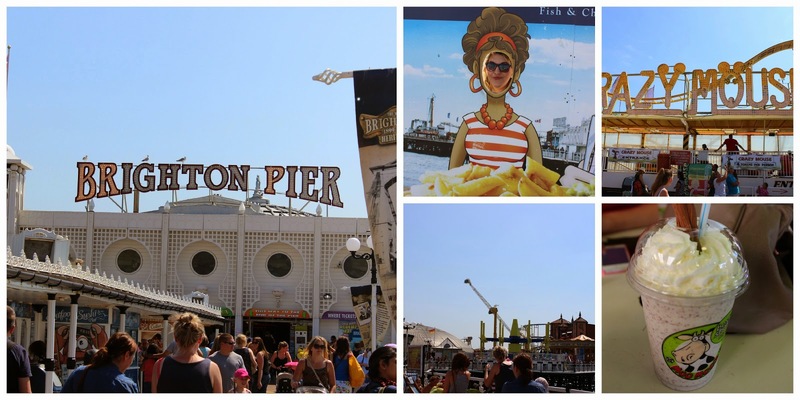 I hope you enjoyed this post and if you have ever been to Brighton or done any of these things then let me know in the comments. As I said earlier I am doing a haul video from Brighton which will be up the same time this so I will leave a link for you. I also have a giveaway running as it is coming up to my blog birthday so I will leave a link to that too! I hope you are all enjoying your weekends and I will see you on Monday!